If you only watch the corporate news and don’t live in New York City you may not know that a truly massive climate change protest just happened. Yesterday, September 21st, was the day of the “People’s Climate March,” where approximately 400,000 Americans took over two miles of Manhattan streets in order to raise awareness of anthropogenic climate change and to demand action to stop it. 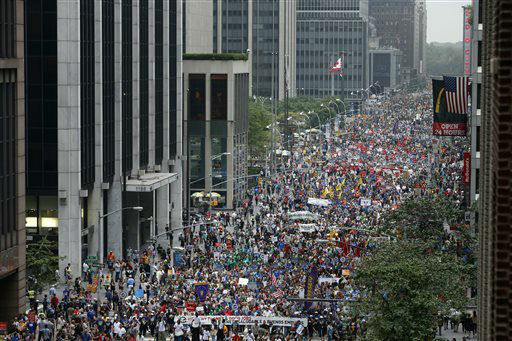 Unfortunately, the television media spent a miniscule amount of time covering this protest (ex. ABC’s coverage totaled a grand 23 seconds) and many Americans simply haven’t heard anything about this action. This negligence by the media could be caused by many things, but it is likely a combination of the fact that climate change is difficult to cover without the right wing freaking out and calling them “unbalanced” and that such protests are seen as a bit of a niche issue that won’t draw the viewers in the way that a celebrity scandal will. Regardless of the media’s negligence, it is undeniable that both climate change and the American population’s acknowledgement of the problem are very real and growing. If you are unfamiliar with the basic processes of climate change, you can go to the following link, where I give a basic summary of how it works. Climate change is a chronic problem that has immense ramifications on a global scale—unlike with acute regional crises (ex. ISIS terrorism, ebola, etc.) the costs of climate change aren’t easy to see, but they are very real. According to recent studies, it is estimated that the YEARLY costs of climate change currently amount to 400,000 deaths and $1.2 trillion in economic damage. As climate change worsens, these costs will increase and the death tolls will rise. The vast majority of these deaths will occur in the developing world, particularly South Asia and Africa, but the developed world will not be spared. 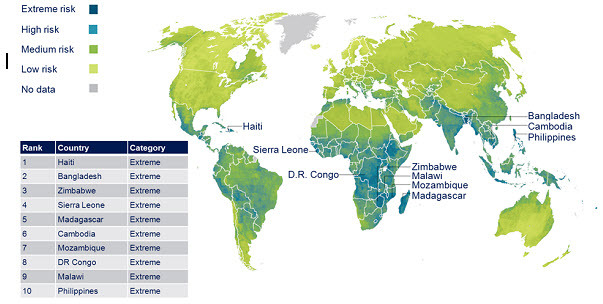 Droughts, caused by warming patterns, kill individuals in developing nations via heatstroke and dehydration. These droughts cause famines in farming communities and starvation becomes a very real danger in developing nations. Additionally, these droughts/famines can lead to wars over scarce supplies (ex. the Syrian civil war was, in part, due to such a famine). Heat Stroke kills thousands of people every year, and climate change will only exacerbate this problem. Extreme weather events (ex. hurricanes), made worse by the increased heat energy in the environment, cause flooding, structural damage, and the direct loss of human life. Repairing this damage is extremely expensive and taxes even developed nations (ex. super-storm Sandy caused $65 billion in damage). Lethal diseases spread faster and farther in developing nations when the infrastructure is taxed by climate change (ex. water-borne diseases spread rapidly when flooding overloads the sewer system). 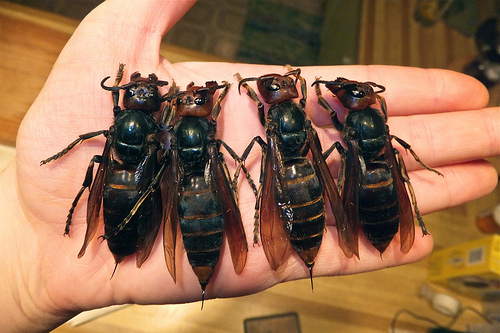 As a side note, you can thank climate change for expanding the habitat of the Japanese giant hornet—an evil, thumb-sized, acid spitting hornet with a potentially lethal sting and really bad attitude—to include a far larger area, including the central United States. Dear Kansans: you can thank climate change for your new neighbors. Put simply, climate change is a slow motion global catastrophe and every nation must get on board with a solution. Unfortunately, developed nations are addicted to the relatively cheap fossil fuels and fuel-producing nations have based their economies around their natural resources—this has created a massive political impediment to action and we have stood by while the situation has grown out of control. The September Climate March is a sign that the American population is starting to get active and that change may become possible. While Washington is gridlocked (or on vacation, as they were for the entire month of August and will be until after the November elections), the people are waking up to the problem. Yesterday’s march was the largest such climate action on record in the United States, and I hope that momentum is maintained. The United States sees itself as a world leader and we must start acting like it in issues that don’t involve dropping bombs on countries filled with people who have darker skin tones than us. We produce 16% of the world’s carbon pollution (second only to China’s 24% and far above the UE’s third place of 11%) and action must start with us. Cutting emissions is a global responsibility and we must not let the profits of a few billionaires and their polluting extraction companies overshadow the needs of the entire world population. The reality is that we will need to change our lifestyles to be less consumerist and more efficient—sacrifices will be needed from everybody, and we need to start today. It was a great day to have been at the Climate Justice March but most of all there is a sense, coming out of that moment, this is now a global project of the whole world. Troublingly there wasn’t much evidence of needing to be less consumptive in a personal way – just to develop clean energy instead. Agreed. Changing consumption is always hugely important. It sends a signal to markets that we don’t need fossil fuel the way corporate and political leaders assume we do. And conservation does reduces emissions. I have some friends that are photo journalists as well as organizers for this event…. With a concentration of media into approximately 6 corporations, it’s no surprise we heard very little of this, and many other actions that affect us. As far as changing consumption…. it would have the most impact. But he also have to recognize not everyone has the option or money to do so. Even growing your own food can be time consuming and expensive. As a single working parent trying to buy organic/unadulterated food, grow some of my own, and have to prepare thing from scratch…. its very difficult and expensive. In fact, all my extra money goes to it. Absolute consumption must be altered, but the distribution of consumption is actually another issue. Americans throw away 1/3 of our food, despite the fact that many others go hungry (http://rt.com/usa/us-food-waste-usda-618/), huge quantities of energy are wasted on redundant technologies (ex. non-LED lights), and our housing structures bleed heat like crazy. With the proper technological investments and economic redistribution from those who waste to those who need, we can bring down total consumption while ensuring that those who are unable to sacrifice are actually given even more aid. 1) Invest in public transportation while disincentivizing inefficient cars/trucks. 2) Subsidize energy efficiency technologies (ex. LED lights, insulating, automatic shutoffs for inactive devices, etc.) and structure greening (ex. solar roofs). 3) Moving corn subsidies to micro-gardening subsidies and pushing a more local economy for food (less waste in transportation costs). 4) A re-aligning of the tax code to incentivize efficiency over volume and a shifting of consumer protections to push durability over throw-away products.